Sarah and I got stuck in a sudden DC monsoon. Luckily, she had the world’s largest umbrella in the trunk of her car, so under it we huddled together. It was a touching moment. 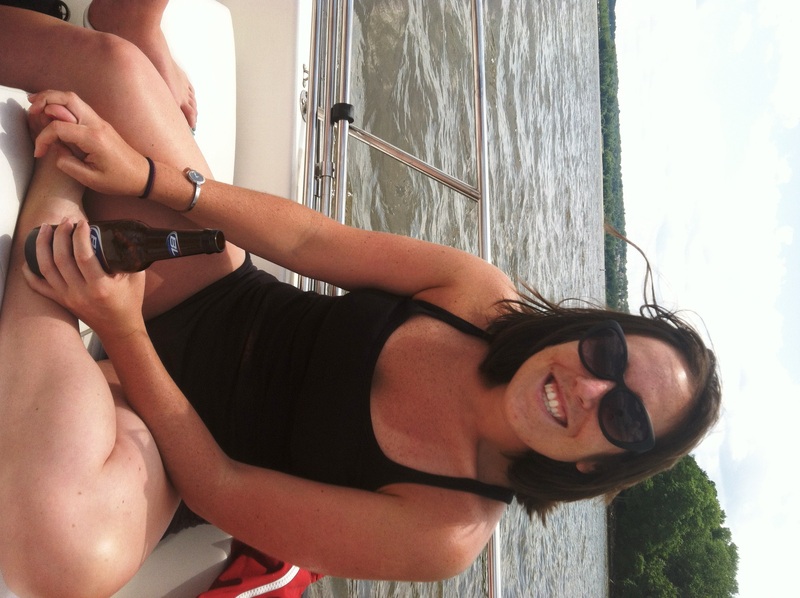 Sunday afternoon spent on Kyle’s boat out on the Potomac. Sun, friends, and a cold beer is the perfect Summer day for me. 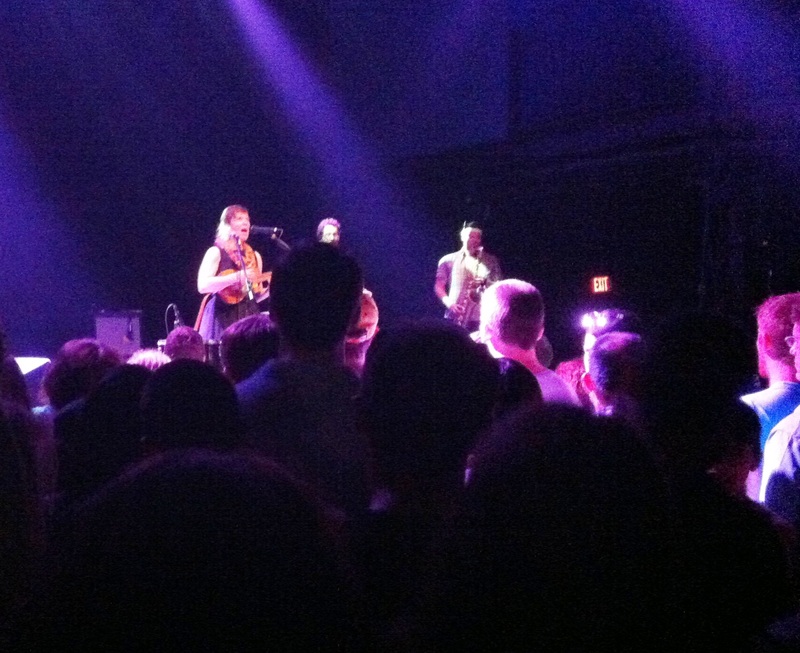 tUnE yArDs at the 9:30 Club on Sunday evening. Such a great show!! They are playing this weekend at Bonnaroo too, but since we just saw them we might skip it. Slightly messy at-home manicure before the concert. 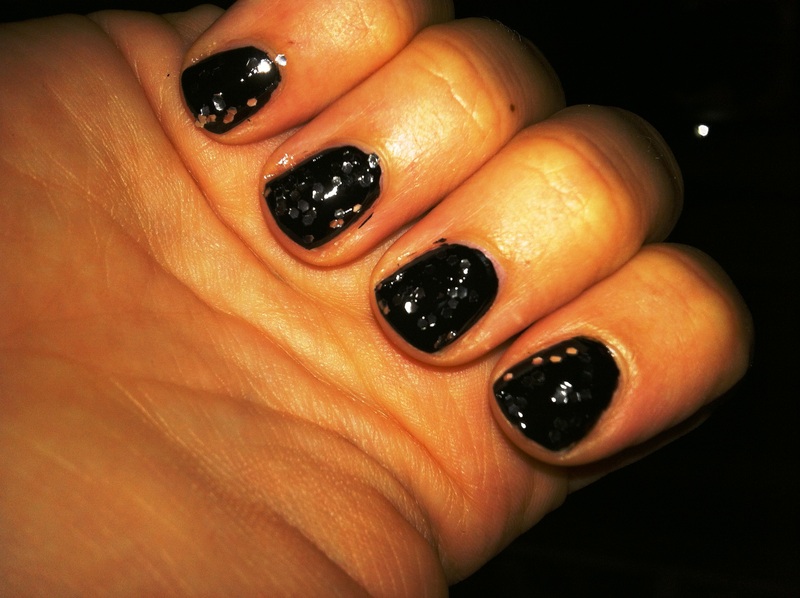 Black polish with chunky silver glitter… literally looked like my nails from when I was 15. Sometimes it’s fun to digress into my teenage years just a little. Two handsome boys manning the boat. Woodrow Wilson Bridge in the background… heading down towards Mount Vernon. 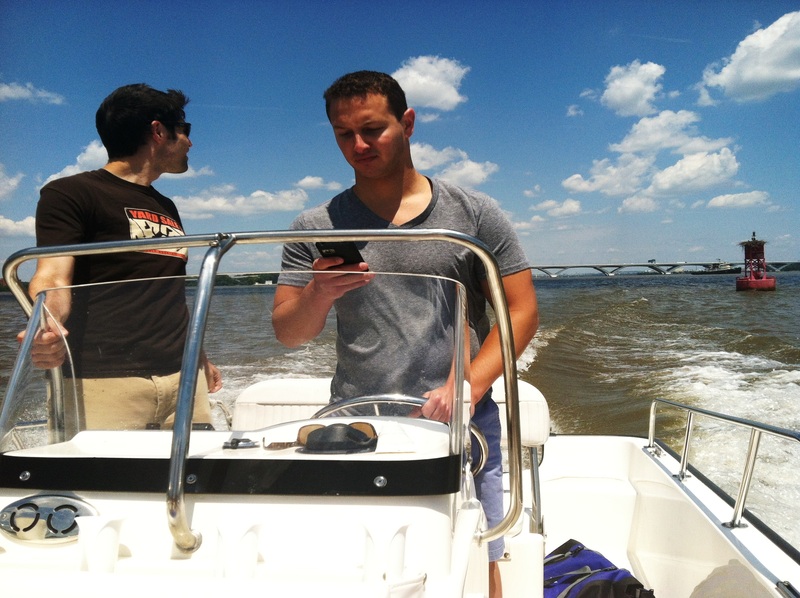 I think Kyle was looking for a gas station… not texting while boating. My Week in Workouts: This week was a really light workout week. I was really busy with work and getting ready to go away for the long weekend. Some weeks are just better than others. I got some exercise in on the majority of days. At baseline, that is what I am going for. I walk to and from work every day (which is approximately 2.5 miles total) so if nothing else I get my body moving a little bit!